You have reached the City of Smiles, home to the famed MassKara Festival. Now the proverbial question is: where to eat in Bacolod? 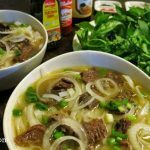 Not to worry because Bacolod City, Negros Occidental, Philippines is filled homegrown Bacolod restaurants that cater to every taste, craving, and budget. Bacolod restaurants abound for every craving and budget. Discover them here. Yes, we’ve got it all for you here in Bacolod. From budget meals to fine dining Bacolod restaurants, you are in for a delicious adventure. For our lack of Bacolod tourist attractions, we more than compensate for with our food. Bacolod food tourism is really in place. If you want any information changed, feel free to email me at sigroid75@gmail.com. The world needs to know about our Bacolod restaurants. Help me spread the word because by far, this is the most comprehensive list of Bacolod restaurants. Bookmark this, too, as you might have lot of guests to bring around for the MassKara Festival. I have re-organized this list because it has become quite long. To make it easier for you to read, I have made classifications. Just click on the thumbnails below. On the other hand, the following are Bacolod restaurants that are not homegrown but were featured in this blog. Peri-peri chicken at SM City Bacolod. 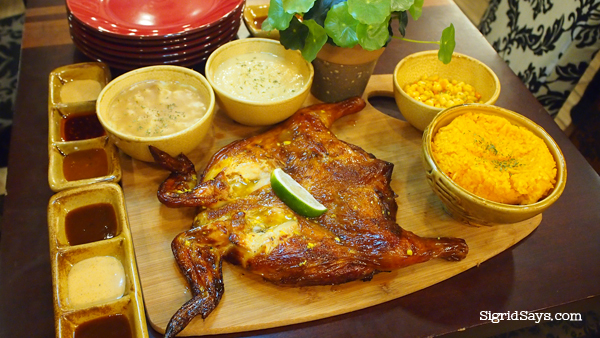 Mexicali – Mexican fusion restaurant located at the SM City Bacolod north wing. Cabalen Kampangan Cuisine – SM City Bacolod north wing. The “food” in Bacolod City is by itself a reason for people to visit the place. The wide array of restaurants offering various cuisines are very interesting for any travelers visiting the city. 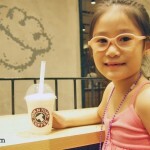 Your list is indeed very comprehensive and it will surely help visitors decide where to eat while at the place. Kudos and looking forward to more restaurants to be included on your list. 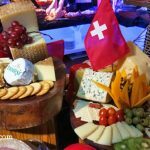 I love European food as I was just recently there few weeks ago. I think I would really enjoy Ripples Restaurant, L’Fisher Hotel. My husband and I are foodies and Bacolod looks like our kind of town. If we’re ever lucky enough to go, you can bet we’d try the Mongolian bar at Bob’s restaurant (for him) and the all-day salad bar at Fresh Start Organics (for her). Yum! Oh you made good choices! These are a couple of good Bacolod restaurants. 😀 Hope you can visit our city some day. The Yakiniku Room of L’Fisher Hotel Bacolod ? And Chicken House? Wow! If I go missing in Bacolod, I think people should start searching for me in either of these two awesome restaurants. Meat and chicken are my way of life for a fact! Those living in Bacolod or even near should take real advantage of these awesome list of places to eat that you’ve prepared just for them! OMG. This is like the prefect directory list for any foodie. You have an enormous collection of Bacolod restaurants and pictures. Awesome work. Hihi thanks for the compliment! Yeah, did lots of work on my list of Bacolod restaurants but I think that the effort is worth it because visitors to our city have something to check on. Even locals check on it from time to time. I am so hungry and turned guide to Bacolod resturants definitely had me salivating in a good way. I was wondering as I am a vegetarian, out of the options you have listed which resturant would you say would be best for me? This is an amazing list of what looks like great food. Thanks for putting this together, I wish more destinations had comprehensive lists like this. That’s a huge list of Bacolod restaurants and cafes. Lots of options to try . I love eating in cafes more than restaurant as they serve small meals and it’s usually the best in taste and presentation. Thanks for suggesting these great places. Some great suggestions here. Thank you. All of the food looks divine, especially that HUGE pizza. The list is huge and with every restaurant adding on to the list, one more reason adds up to visit Bacolod. All the good food and positive vibes here, eh! Honestly, I’ve never heard of Bacolod until just now. This is an incredibly researched post you’ve created. Just fantastic. What an incredible collection of Bacolod restaurants. I want to come and visit and eat in them all! Ey Sigrid, this is an awesome long list and comes very handy! And very helpful for us since we are not familiar with Bacolod. 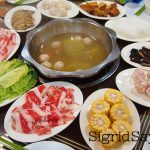 Do you know any food tours happening? Wow talk about an incredible list of Bacolod restaurant recommendations. I’d love to go to the Hilltop restaurant for sure. And the L’Fisher Hotel buffet sounds amazing. I think buffets are a fun way to taste the different flavors and dishes at a set price. All of this food in Bacolod restaurants looks like it is absolutely incredible. I love that you shared a shot from the restaurants so we could see what the food looked like instead of just describing it. Oh there is so much choice, I’m not sure I’d be able to choose. Every dish looks absolutely delicious. Thanks for sharing these recommendations for Bacolod restaurants. I have not been to so many of the Bacolod restaurants. There are still so many to try. These menu options in Bacolod restaurants are making my mouth water. I love traveling to new places and savoring their local cuisine while visiting their most famous restaurants. Would like to visit Bacolod City just for a food trip! Oh wow, never been to Bacolod City but I know that if I ma ever going to visit, the local Bacolod restaurants will surely not disappoint. This is making me hungry. Wow! There are so many incredible restaurants in Bacolod! The chicken wings looked incredible. So did the chicken pesto. Now I want to eat my way around the city! This post has made me hungry. Everything looks so incredible in these Bacolod restaurants. If I’m ever in Bacolod City, I’d be happy with any of these places. Hope I can stay for at least a few days. Now this sounds like a great round up of homegrown Bacolod restaurants! If I am in Bacolod City I will end up being spoiled for choice! Lots of mouthwatering dishes here! All the places look great, and the food looks so delicious. If i visit Bacolod City someday, then I will surely go to few of these Bacolod restaurants. This is some list of homegrown Bacolod restaurants! I had never heard of Bacolod City before I found your site. This list is just one more reason I need to visit the Philippines and your city. Love the pictures of all the food–they make my mouth water. 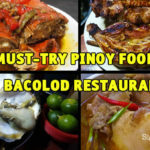 I don’t know when I would ever go to Bacolod City, but if i did I hope to find your post again and try these foods out at your Bacolod restaurants. 🙂 Thanks for the list. It’s so useful! This is a great list of Bacolod restaurants. This would be helpful for locals and tourists to Bacolod City in deciding where to eat any time of the day. This food looks soooo good! Thank you very much for this list of Bacolod restaurants! I hope to one day travel to the Philippines. When I do I’ll have to make sure to go to Bocolod City and this list will be the perfect restaurant guide! Such a great post, as it guides us going to different Bacolod restaurants that really serves delicious dishes. Honestly, seeing these photos makes me hungry. Arggghhh! I wanna visit Bacolod City! So many food options! Everything looks so good in these Bacolod restaurants, based on your pictures! Great place to do a good food trip! It’s so nice to see all of these food reviews for places I’ve never been to. One of the things I worry about with travel is the food that is served there. 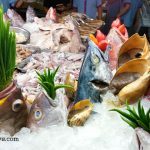 I’ve seen Ace Ventura and while getting served out of a guano bole doesn’t seem too awful, I really freak out about the different delicacies that are in different countries. I realize, now, that many of those fears are null and void because there were many things in your review of Bacolod restaurants that looked delicious and were something that I would absolutely eat. Thanks for sharing! 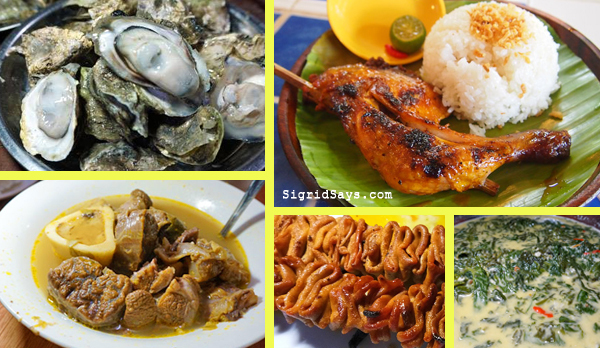 Now that’s a whole lot of delicious suggestions among Bacolod restaurants. I’m wondering if I could even narrow it down to a few for my first visit to Bacolod City. So many great choices. OmG so many options among Bacolod restaurants!!!! Nonna’s Kitchen sounds amazing !! But it would be so hard if I had to pick only one when I visit Bacolod! Got to spend a few days here to sample a lot of these food. Bacolod was not in my radar until I saw your post. So many amazing places to go and so many delicious dishes to try in Bacolod restaurants. I can see myself in a few of those cafe options! I’ve never heard of Bacolod City but now I know where to eat if I ever want to go there. So many options in Bacolod restaurants! There are so many options of Bacolod restaurants here that I don’t know what to do or what to choose! hahaha This is amazing for anyone who loves some edible masterpieces. Will visit Bacolod City someday and try a lot of these places. So many different options to choose out there. I would love to try out almost any of these foods here. I think they are so delicious. I would definitely go out and try the Anne Bistro. Yummy! This is filled with delicious and savory dishes from Bacolod restaurants. Such a great blog post is indeed, a must-read one. Nice shots. I have a house mate from Bacolod. I bet he would love to see and taste these dishes and restaurants back home. I have a friend in Bacolod who is very proud of her city. She boasts about how beautiful their place is and the dishes they offer. It is now in my go-to list. And I would most definitely visit most of these Bacolod restaurants. Wow, I have no idea where Bacolod is! However these dishes from Bacolod restaurants look absolutely yummy. I am seriously drooling over here over these!! Can’t wait to try most if not all of the Filipino dishes! Wow. What a great selection of restaurants Bacolod has. The amazing variety on the list is making my mouth water and my heart yearn to make a visit. Especially loved the pictures of Sushi at the Inaka restaurant! We have so many choices among Bacolod restaurants. Oh wow what a large selection of places visit for food. This list of Bacolod restaurants is sure is handy. Fogo grill gets my vote, the food there looks really yummy!!! Wow! You must have a huge appetite, thank you for the extensive list of Bacolod cafes and restaurants! This is definitely the go to blog post if I’m ever in the Philippines. Oh my goodness, the presentation of the food is amazing. It has certainly made me super hungry this morning as well! Too bad that I can’t go to these Bacolod restaurants and cafe anytime soon. boohoo! Love the presentation of the different foods 🙂 You made a good list of Bacolod cafes and restaurants to check on. I prefer cafes more so it’s beneficial for me. Oh wow what a fantastic list of places to eat, there are so many of them Bacolod restaurants! The food all look really yummy too. Love the pictures of the food. The dishes are so different from what I’m used to but they look amazing. I’d love to visit all these Bacolod restaurants and try them all. maybe we will make it to the Philippines some day. You forgot to include LAM TIAN 1, its older than apollo. And the food in Lan Tian 1 is way better than any other chinese resto, for our family and friends Lam Tien 1 serves authentic chinese/taiwanese cuisine. Go try it guys!!! Ang sasarap naman ng pagkain dito mommy. Ang Bacolod talaga sagana sa putaheng masasarap. Hondaming Bacolod restaurants. may mga cousins ako sa Bacolod at palagi nilang sinasabi na the best daw talaga ang mga pagkain dun lalo na ang chicken inasal. Thanks for coming up with this list of Bacolod restaurants. Now, at least, may ideas na ko ng mga masasarap na restaurant doon at hopefully pag nag visit kami sa Bacolod, I will try to visit a few of those restaurants you mentioned.